I just can’t take it anymore, I am sick of this, I just want to throw it way right now, I just can’t tolerate it anymore inside my house it has stigmatized my whole room interior, so are the words we usually hear from our wives when we have some old wooden furniture item at our place and she wants to get rid of it on immediate basis, right? Well, this might be the story of every second or third house. 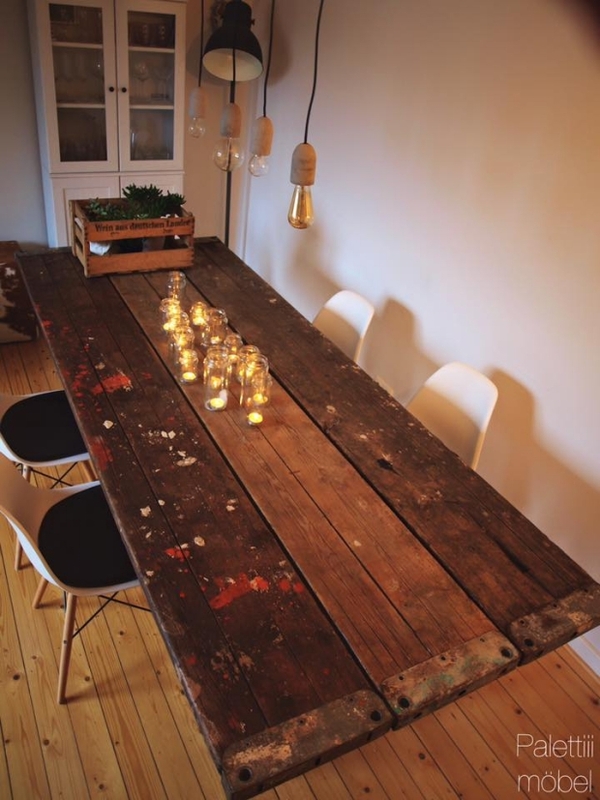 Here is a pleasant surprise to make your lady happy, this pallet rustic dining table would just make her all good. A dining table can not be specified according to its designs and shapes in a certain category, dining tables have various shapes and dimensions. 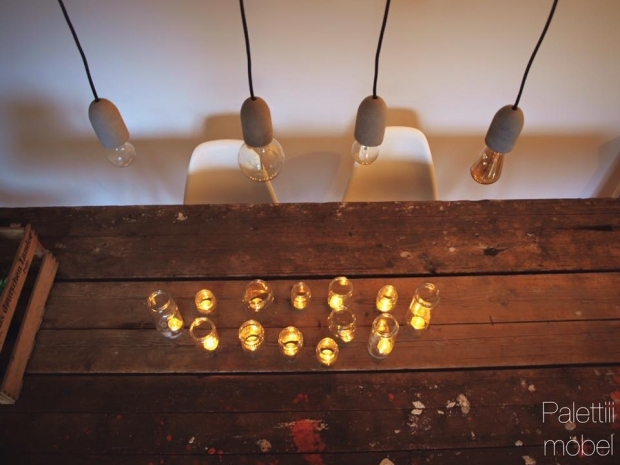 But in general terms, a dining table is probably the most important furniture item from a family perspective. Because this is the domestic platform where all the family members gather for a combined meal, they have a chatter there, discuss about different matters, so in simple terms it could be named as a place of a family re union. So it is always exciting to have a well built and stylish dining table inside the house. 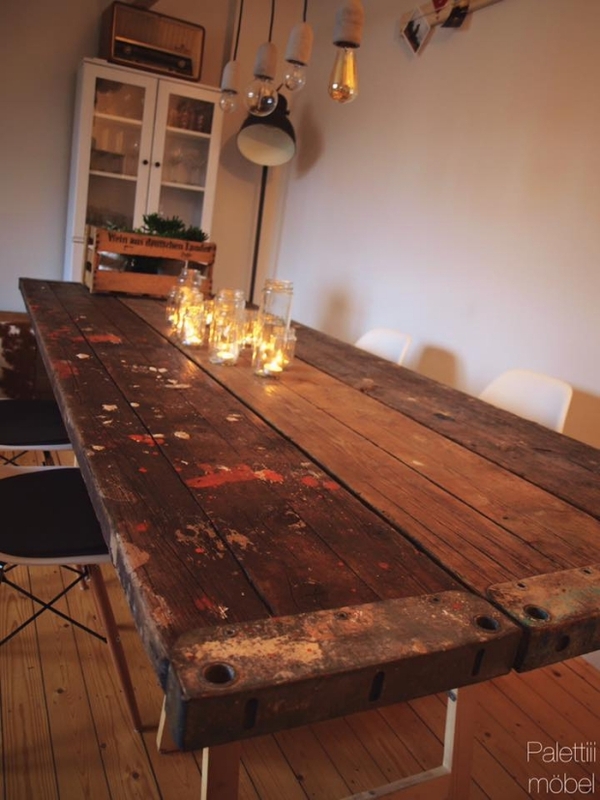 Well, we have got a rough rustic wooden pallet dining table right here. Apparently it seems like it has been used to carry some color boxes. The pallet planks are pretty deteriorated. Still we managed to make a distinguished wooden pallet item out of this crap. This is a large and wide dining table that can cater the needs of entire family at the same time. Despite of broken and cracked wooden planks, it still looks like a classic vintage wooden dining table. So the deterioration of pallet planks are camouflaged by default due to its design and shape.